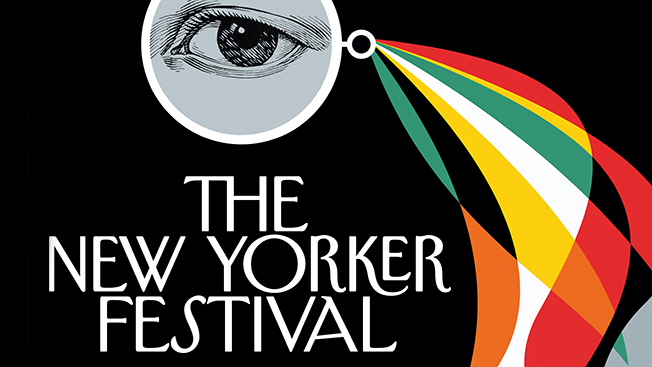 This weekend marks the 16th annual New Yorker Festival, featuring a roster of big-name speakers, panelists and performers from Toni Morrison and Patti Smith to Jason Segel and Billy Joel. One major addition to this year's festival will be Tech@Fest, a new slate of programming focusing on topics like cyber privacy, gaming and gene technology. On top of the festival's usual advertiser tie-ins (this year's sponsors include MasterCard, Acura, United Airlines, Autograph Collection hotels, Shinola and The Cosmopolitan of Las Vegas), The New Yorker is also introducing "native panels" for the first time. These events, sponsored by The Glenlivet and Citi, will be free for festivalgoers. We spoke with publisher and CRO Lisa Hughes about this year's festival as well as the magazine's plans to launch its own radio and streaming TV series later this year. Tell us about the launch of Tech@Fest. We've always had tech programming in the festival, but we wanted it as a vertical because it is a really hot topic right now. We've been looking at some of our tech articles in the past year and how crazy viral they've gone, like our big profile of Jony Ive, which had over 3 million page views and close to 800 million press impressions. Tech is an area we want to double down in, so we thought we'd try something new. It's also an area that we do a lot of business in. It's certainly important to the auto category, the enterprise tech category and financial institutions that work with the tech sector. Citi is the presenting sponsor, and, in fact, they're doing a native panel on how technology has impacted how we think about money. That will be a free panel that anyone can enjoy alongside the paid programming. The Cosmopolitan of Las Vegas is also sponsoring a digital art installation by the artist Laurie Simmons. You've had sponsored events at the festival, but never sponsored panels. Why introduce them this year? I think it evolved naturally from our success with working with United Airlines on their sponsored lounge. We realized there is downtime between events, especially for people who are there for the weekend—remember, at least half of festivalgoers are coming in from out of town—and a desire for stuff to do. That got us thinking, "OK, what else could we be providing that people could go to in between the paid panels?" The sponsored panels also seemed like a natural outgrowth of some of the native content we're producing for advertisers. This is just another platform for that native product. Last year, you mentioned that you'd like to see the festival expand to other cities. Is that something you're still considering? We always talk about that. I think we'll look at it really closely this year, take a look at the success of Tech@Fest, and then decide what will happen. We'd love to be able to expand, but it's a big undertaking that might even require a whole new team to plan and execute. The New Yorker is also launching its first radio program later this month with WNYC. Why get into radio? I think space is very hot right now, particularly as far as podcasts. The podcast app being pre-installed in the iPhone 6 was really game-changing; truly overnight, that changed how people access podcasts and the ease of downloading them. Serial was obviously another huge game-changer for podcasts, which we wrote about at the time. And the New Yorker already has its own very successful podcasts. We get around 700,000 downloads a month, and we sell that following as part of our NewYorker.com offering. WNYC is a terrific organization, and our editorial teams are working together on the programming, which will be loosely inspired by the magazine and the brand and cover the range of topics that we cover at The New Yorker. Our business side is working closely with their business team to sell sponsorships, and we've done that very successfully. Our launch sponsors are Audible and Squarespace. You're also working on a TV show. What's the status of that? We did a pilot with Amazon, and through a combination of viewers voting and Amazon deciding what made sense, they greenlit it. There will be 10 episodes, and the show will launch in the early part of next year. Alex Gibney [who directed HBO's Going Clear] directed the pilot, and he's working with [editor David Remnick] and the editorial team on shaping what the show is going to be. We're really excited about it.